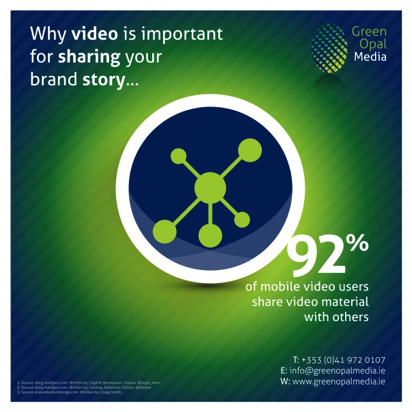 Most of us are aware at this stage of the importance and benefits of using video as a means to share your brand message. We all love to view videos; whether we are searching Google, YouTube or checking our social media channels. There are lots of surveys and statistics out there that illustrate how video works (and I will share a few of these below). But just because you know that it is important to have a quality video for your business – this doesn’t mean that you will feel comfortable in taking the steps to achieve it. Very often clients/potential clients will say that they are considering a promotional video for their business, but they feel it will be too time-consuming/difficult to prepare, or that they are too nervous to go on camera. 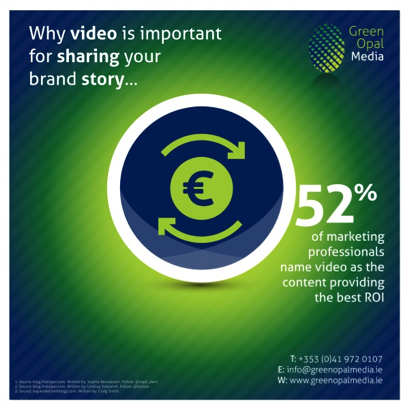 Video is a great way to get your personality and the message of your brand/service across to your target market. But you do need to be clear on who the audience for your video is going to be. Are your customers other businesses (SMEs)? Are you selling to parents or teachers? Is your business in the craft or beauty sector? Once you have identified your audience and the message you wish to share, a story-board and script outline can be developed. We love working with our clients to get them from the initial concept stage to where we have a script to work with for the video shoot. It may be a well-used term, but it is definitely true that people buy from people! 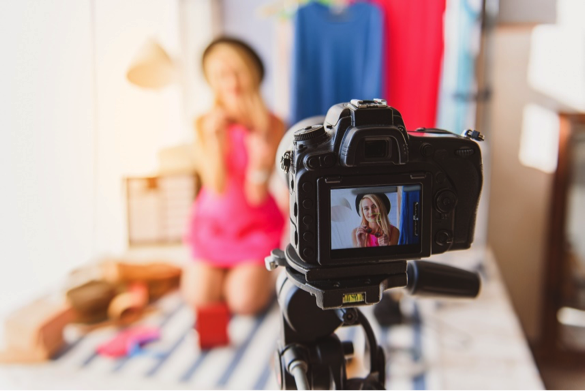 So when you share your brand story on camera, your customers can connect with your personality. You bring your message (and how you can help them) to life. Doing this for the first time can be a nervous affair, even seasoned public speakers can feel nervous on camera! An experienced video team will help you through the video shoot process (multiple takes are a norm in the industry!). Shooting is only part of it, however the editing cycle is also extremely important as the post production process is used to portray you and your brand message in a professional way. So once you have taken the step to create your promotional video you can now share it online through your website, and social media channels. I have set myself a goal for 2017 to take advantage of more opportunities to speak on camera (outside my normal comfort zone of staying behind the camera!) At a couple of recent events I have taken this step and will be doing some more of this over the coming weeks. So I look forward to sharing this journey with you.